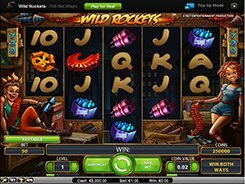 Wild Rockets is a NetEnt-powered slot equipped with five reels that are arranged in a 3-4-5-4-3 configuration. 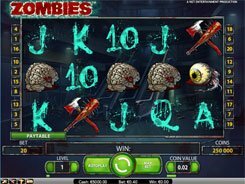 Instead of using a standard payline-based model, the developer has put in place a unique 720 Ways To Win system whereby winning combos are formed by matching symbols landed anywhere on consecutive reels. Besides, in Wild Rockets winning combos are created from left to right AND right to left (Win Both Ways feature). 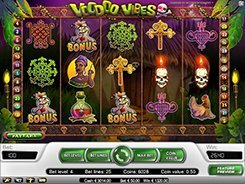 A bet is adjusted from $0.5 to $100 per spin, so the slot will appeal to both low-limit players and high-rollers alike. The slot has a unique wild symbol. Whenever a wild appears on a reel, it fires rockets up or down that reel transforming all symbols the rockets are flying over into wilds. 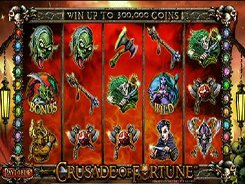 The slot features a scatter that triggers 10, 20 or 50 free spins if three, four or five of them appear in any position. 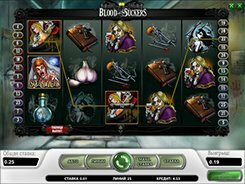 Five scatters award the slot’s grand prize worth x200 times a total bet (or $20,000 if betting max). 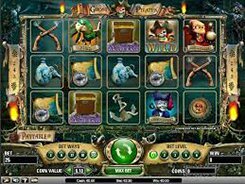 In closing, Wild Rockets is a fast-action slot with massive payouts and highly rewarding special features.